One woman said her boss wouldn’t pay her either for the two days she’d already spent waiting to be chosen, or any days she actually served. Another potential juror was a personal trainer who feared losing not just income, but maybe clients as well. So if you’re a freelance writer – or designer, or editor, or anything else – then you need a plan. Specifically, you need an emergency fund. You probably think that an EF is for things like car repair or medical co-pays. 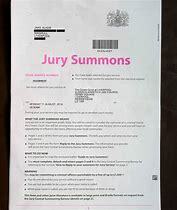 Until I went freelance, I’d never considered jury duty an emergency. But in 2010, it was suddenly all about the potential for lost income. Fortunately I was dismissed. The two people I mentioned earlier were, too – but they lost two days’ worth of pay. I, on the other hand, wasn’t as inconvenienced as I’d feared, because I was able to make up the time in the evenings. Besides, I had a good-sized EF and knew I’d be okay no matter what. What would losing a few days’ work do to your personal bottom line? Especially since freelancing is far too often a feast-or-famine situation? For extra credit, imagine having lined up a whole bunch of work and then having jury duty force you to change a deadline. Some clients would be understanding. Some might never call you again. It can be tough to save an EF even when you have a decently paid day job. After all, the cost of everyday essentials keeps rising and most of us also have to build our own retirement plans. However, it’s almost always possible to tease a few dollars out of even the tightest budgets. You just have to get creative – and I can help you with that. A chapter in my first book (“Your Playbook For Tough Times: Living Large On Small Change, For The Short Term Or The Long Haul”) covers that very topic. It has nearly three dozen examples of what I call “stealth savings tips,” tactics so simple and (for the most part) painless that you’ll be able to find extra money in your spending plan. Because I believe everyone needs an EF, it’s my policy to offer a free PDF of that chapter to anyone who asks. So if you need help saving for emergencies – or for retirement, or for a down payment on your next car, or for a vacation, or for just about anything – then drop me a line at SurvivingAndThriving (at) live (dot) com and I’ll send you the PDF for free. No strings attached. Really. Of course, if you find the chapter helpful and want to read the rest of the book or its sequel (“Your Playbook For Tough Times, Vol. 2: Needs And Wants Edition”), you can find it on Amazon or Kindle. For the original “Playbook,” use the discount code JURY. For the sequel, use the code JURY2. Good luck with building your EF or any other savings goals you have in mind. And while jury duty is actually pretty interesting, I hope you don’t get called until you’re prepared for it, work-wise. I also hope there’s coffee. Interesting. I’d never heard the phrase “civil grand jury” before.